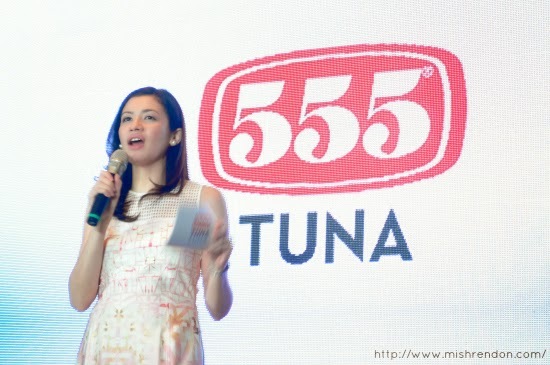 In a new TV commercial for 555 Tuna, the Kapuso Primetime Queen describes her married life as happy and complete. 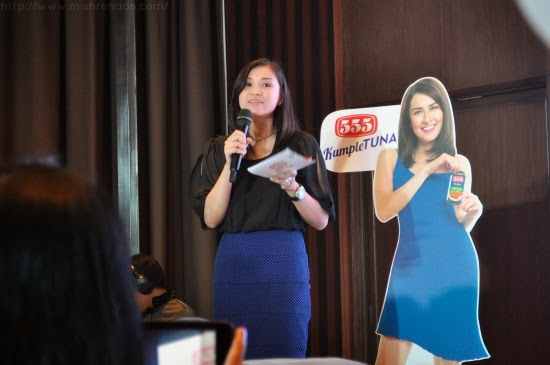 “KumpleTuna ang buhay ko!” exclaims Kapuso Primetime Queen Marian Rivera in her new TVC for 555 Tuna. 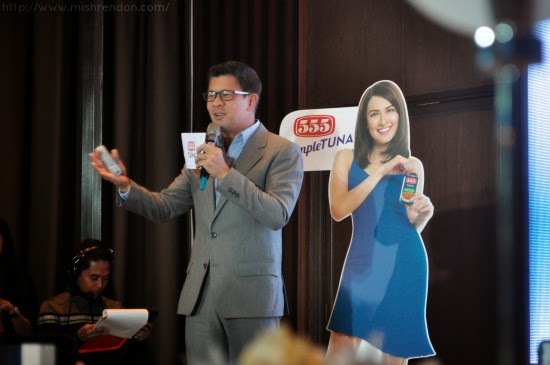 The said TV commercial, as well as Marian's new endorsement with 555 Tuna, was launched last Wednesday at an event held at Marco Polo in Ortigas. Marian, who got married in a highly anticipated ceremony late last year, is obviously glowing with happiness in the new TVC, which featured her enjoying wedded bliss. Here, she is seen preparing a meal for two using 555 Tuna, the brand that is complete given its delicious mix of tuna and vegetables in a flavorful sauce. It is also complete in offering a wide range of lutong-bahay flavors. In short, KumpleTuna! “Super happy ako to be chosen as the new face of 555 Tuna. Lumaki kasi ako sa Lola ko na lagi akong ipinagluluto, so ngayong may asawa na ako, sobrang namimiss ko ang lutong-bahay. Thankfully, sa 555 Tuna, nahanap ko yung lasang ‘yon – yung 555 Tuna Afritada nga, halos katulad nung afritada ni Lola!” said Marian. “Mas convenient pa especially pag nasa tapings dahil naka-easy open can siya.” Marian even prepared an Adobo and Bicol Express dishes for everyone during the event using 555 Tuna. Greg Banzon, General Manager of Century Pacific Food Inc.
Like Marian Rivera, Pinoys can enjoy 555 Tuna’s lutong-bahay sarap which is available in 12 delicious variants: The best-selling blue line - Afritada, Caldereta, Adobo, and Mechado; the green line, featuring Bicol Express, Lechon Paksiw, and Sisig; and orange line, featuring Flakes in Oil, Hot & Spicy, Sweet & Spicy, Corned Tuna, and Chili Corned Tuna. Delicious, nutritious, and easy-to-prepare, 555 Tuna is truly Marian’s – and every Pinoy’s – KumpleTuna!